Australia wide - 2950 profile(s). Would like to learn to play the game. Never played before and would like someone to be willing to have a hit with a complete beginner. Available weeknights after 8 and weekends. 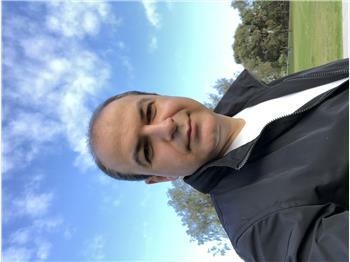 Hi there, I play competition regularly at Box Hill tennis club, and competed well in Saturday Pennant Grade 7 last winter. I am available Sunday's, and most weekdays nights. I am willing to travel - feel free to message me if you're interested in a hit or friendly game! I’ve been playing Tennis since my school days. Took a break due to work commitments and growing the business. Now have spare time to get back into hitting the court. I’m available on weekdays in the afternoon or evenings but time has to be scheduled a week in advance so I can plan my week accordingly. Happy to play in the northern suburbs. haven't paly for long time want to start again so back to line quickly. Looking for a hit on weekends mostly. Played regularly for about 5-6 years. Have had some coaching and can rally well and serve pretty decent both first and second. Looking to play more often. I am a member at Melbourne Park and also have access to their Albert Park courts. I am happy to hit with more advanced players if they just need a hitting partner and are not too worried about close competition. Weekends would suit best. I work in Redfen, and I live in the Eastern Suburns and looking for a Afterwork Tennis partner in those areas. I’m relatively consistent in rally’s, serves aren’t 100%, baseline is OK, Volkeys good. So, someone of that standard would be a good match. Happy to just hit and happy to play matches. But, nothing too serious. I have been playing tennis off and on for about 20 years. I am currently on a 1 year vacation trip, traveling around the world. Hoping to find tennis players at all the locations that I travel to. I am available any time of day or evenings. I am staying in downtown Melbourne until April 17. Looking for more people to play tennis with. I’m an intermediate player. :) I’m a member of Regent tennis club. I’ve been playing for the last 4 years. Did a couple of lessons as a kid. Now playing a few times a week. Monday and Tuesday’s are good for me.